Does your child love reading books? Honestly unless you have cultivated the habit from baby, making a child to read a book would be as easy as getting them to love eating their broccoli. Ok, I am not the perfect Dad, but we leave that story for another day. Now choosing a story to entice the little readers could easily be a hit and miss affair. Not every child would like the same storybook. However if the story is all about them, it will make a different preposition altogether. So when we received a mail from lookitsaboutme.com from Philippines ( yes we are going international) promising a tale of the child's own, we could not wait to get our hands on it. After all how many can boost to have a book written ALL about themselves? Look who's a big brother! 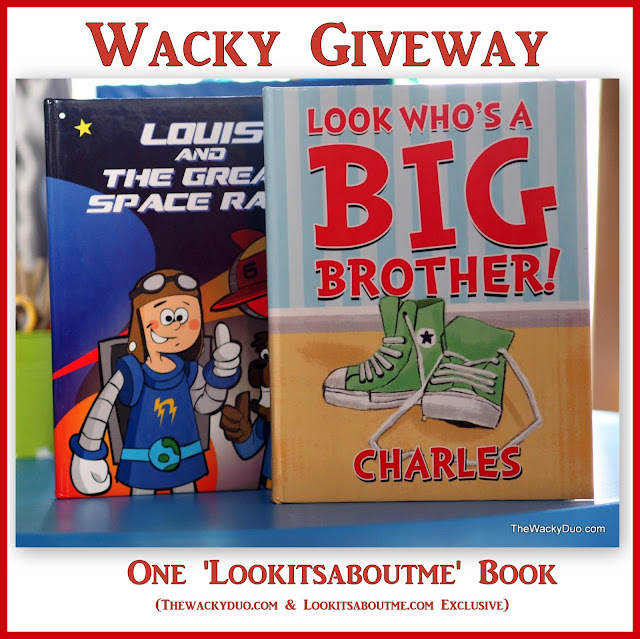 We got his book for Big C. I guess the title ' Look who's a big brother ! ' was the most obvious choice for him. The book is illustrated by Elanor Giron and written by internationally published writer Natalia Diaz. Each hardcover book is personalized with its text. The thing that blew us away were the illustrations in the 24 page book. They were personalized with the boys' name. We are not sure how they did it, but it made the book so much special to the boys. You can even have a printed dedication from the sender on the cover page. The book is recommended for boys age 0-12 ( there is even a girl's version called Look who's a Big Sister) . The book is simple enough to read for a 5 years old. Imagine him reading it out to his little sibling. It will be a great gift to the older one to make them feel special when there is a new addition to the family. The other book we had received is 'The Great Space Race'. The book is illustrated by Andre Cui and Piaget Martelino. It is written by Maria Natalia Mercedes Diaz. Compared to the first book, the personalized name is less obvious on the illustration. Recommended for ages age 0-12, we think the content and the storyline is more suited for a primary school child. Like the earlier book, you can have a printed dedication from the sender. You can even add the home country and friends/ relatives names in the book to make it more unique. There is both a boy and girl version on the book. The boys were both happy with the books they received. Personally I think this will make an awesome Baby shower, Birthday or Christmas gift to the children. 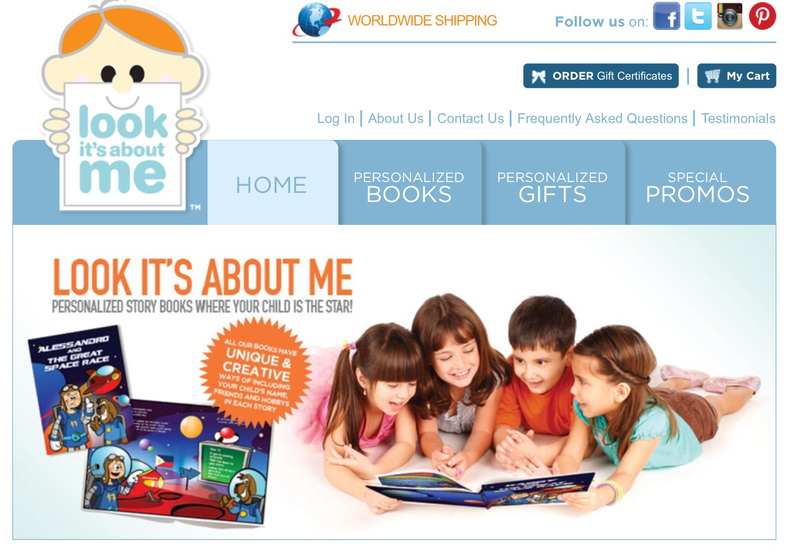 The idea of a personalized book for them will definitely delight them . The bonus : It will encourage the little ones to read. Ordering the book is as easy as 1-2-3, choose your title, fill up the necessary details and it is good to go. There is worldwide shipping, so if you are reading this from outside Singapore, you could get yourself a copy too. Selected reader will be contacted directly by lookitsaboutme.com. Reader are expected to respond within a week and liaise directly with the sponsor directly. Failure to do so will lead to a forfeit of the gift.